This amazing chandelier set is HUGE and can be used different ways for different applications. 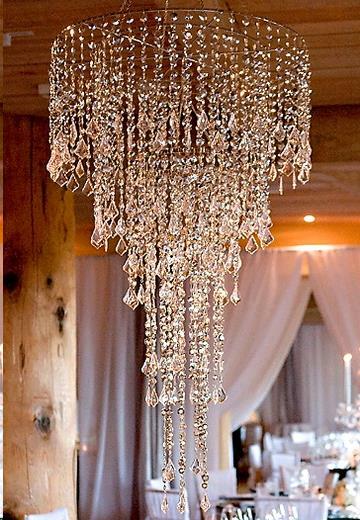 These chandeliers have a beautiful 2" acrylic crystal pendant to finish the end of each strand in style. 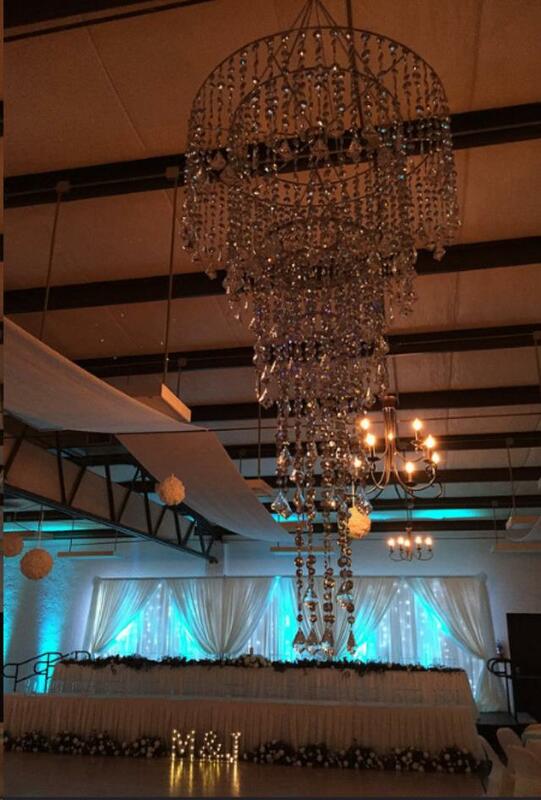 ** Please call us for any questions on our chandelier silver/crystal 2 piece unit rentals in Fairview Heights IL.